An American black metal band featuring members from Judas Iscariot, Moriendum Omnibus, Krieg and Nachtmystium (among others). They were one of the last bands to capture the majesty of the original modern black metal movement, but in a grinding and blasting reductive death metal form. 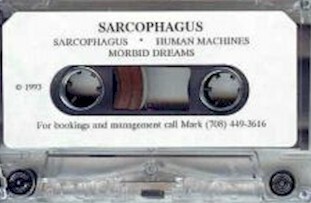 Sarcophagus formed in 1991 and characterized their music as “grinding apocalyptic black art.” They utilized lyrics in English, German, Spanish and Norwegian. 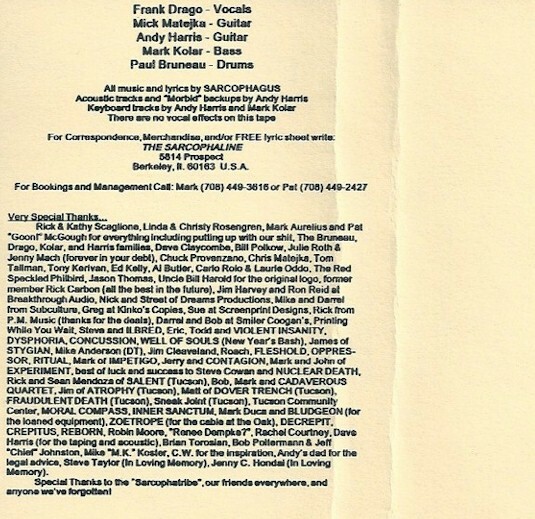 In their 10 year existence, the band released 4 demos (3 of which were re-released in a compilation LP) and 3 full-lengths. They disbanded in 2001.